Home › Email Scams & Phishing › Focus on Scam Websites Part II – Paying over the odds to part with personal details. Extreme-sports? In the previous article, “Exploring Scam Websites – Focus on Government Services Copycat sites” we looked back at tax disc scams in the run up to tax disc renewals moving from the post office to online applications. The review of copycat sites by National Trading Standards Board (NTSB) may be designed to clamp down on misleading websites, but you don’t have to go further than Google to see that the owners of copycat sites have not been put off. 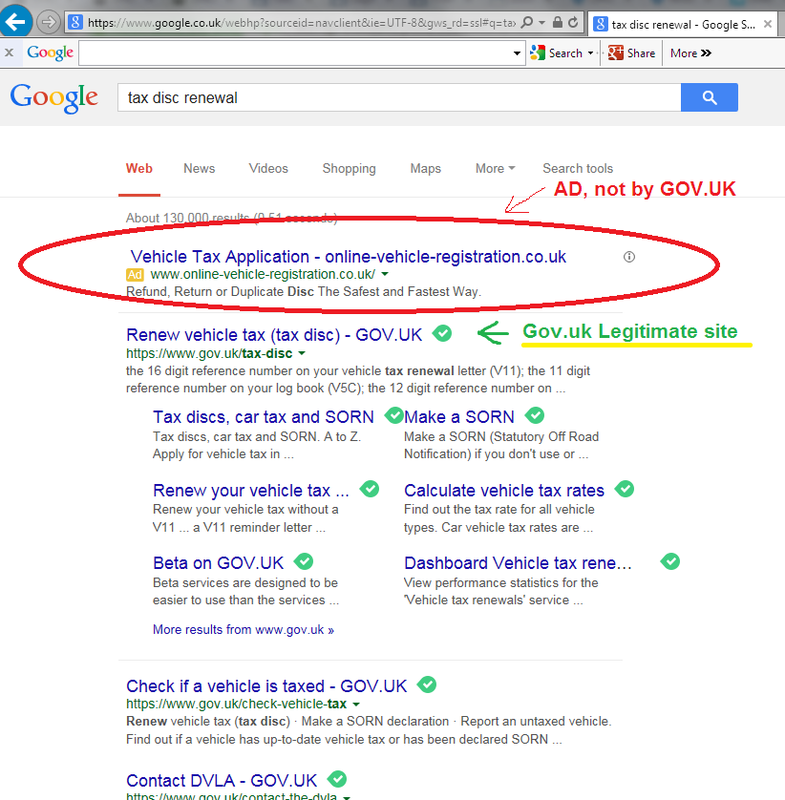 If you click on the ad, the website is official looking, but not a direct copy of Gov.uk. 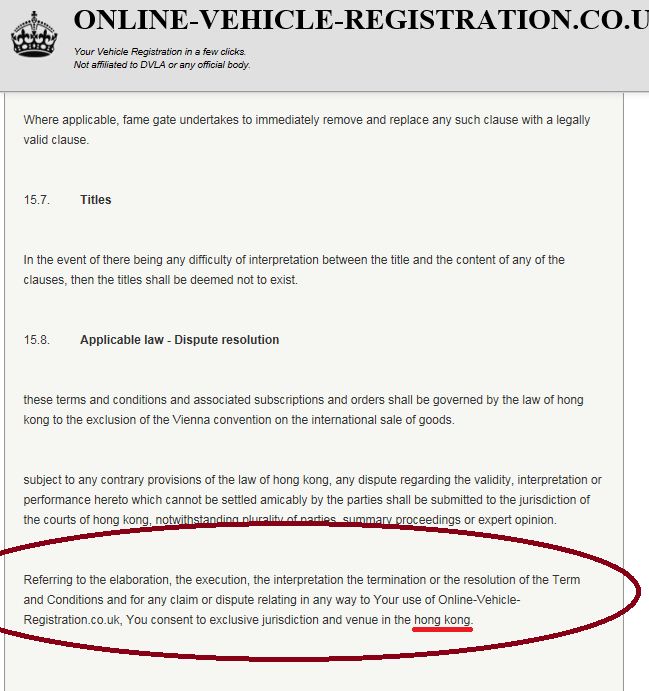 The small print states that they are not affiliated to DVLA or any official body. 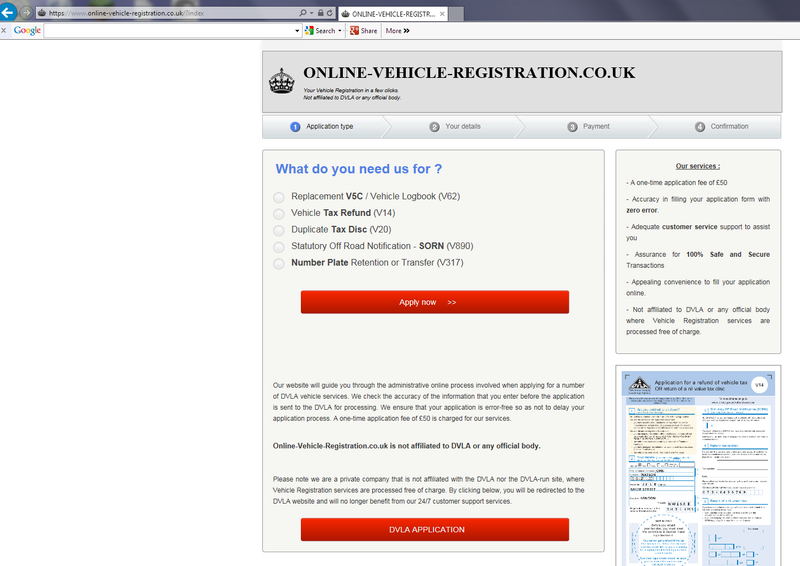 The top tab is very similar looking to Gov.uk. They charge £50 for filling in the forms, based on the information you give in the forms you complete online on their website. At the same time you get to part with a lot of confidential information, including your car registration number, address and payment details, to a company that displays no contact details on their website, has no number to call, and only an email form to complete to get in touch with customer services. Is the risk worth taking? To err on the side of caution, always go to the Government Services you want to access, and if in doubt, to Gov.uk. You will most likely find what you are looking for, without risk. The internet is like a big market square. You need to show common sense before you part with confidential information and money. We have all this great technology at our fingertips, and not all of it is used in a good way. There is always going to be the human element, the crook, and the innocent person falling for their tricks. Make sure it is not you.